The seed industry can be described as a small group of big global players and a long tail of smaller regional, national and niche players. For obvious reasons, it is this first group of market leaders that receive the most attention. 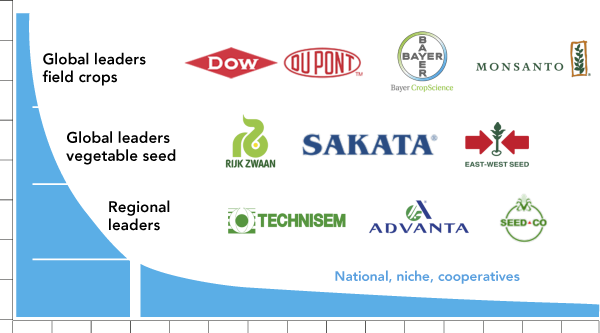 Still, the relevance of the companies in the long tail of the seed industry should not be overlooked. These small companies play a key role in the delivery and adoption of new traits and seed varieties to the smallholder farmers that are collectively dominating the regions that are facing food security and nutrition challenges.  The first Regional Access to Seeds Index for Eastern Africa highlighted the important role that seed companies originating in the region play in increasing access to quality seeds for smallholder farmers. This resulted in four regional companies featuring in the top 5 of the regional ranking, before their global peers. Many regional actors outcompeted the global companies through leveraging their local presence. In several respects, such as reaching remote villages, collaborating with local farmer communities to inform their R&D decisions, or through capacity building activities, these regional companies can take it a step further than their global peers. To create a better understanding of the role regional seed companies are playing and to better identify who they are, what their specific strengths are, and what their current presence and portfolio looks like, the Access to Seeds Index will expand its regional scope towards South and Southeast Asia and Central and Western Africa in the second edition of the regional index, which is currently under development.